A regular feature of this blog will be a tech tip on Tuesday. If you have any suggestions for tips, let me know. Did you know you can get your iPad to read the screen to you? Go to Settings > Accessibility > Speech and turn on the Speak Screen toggle. 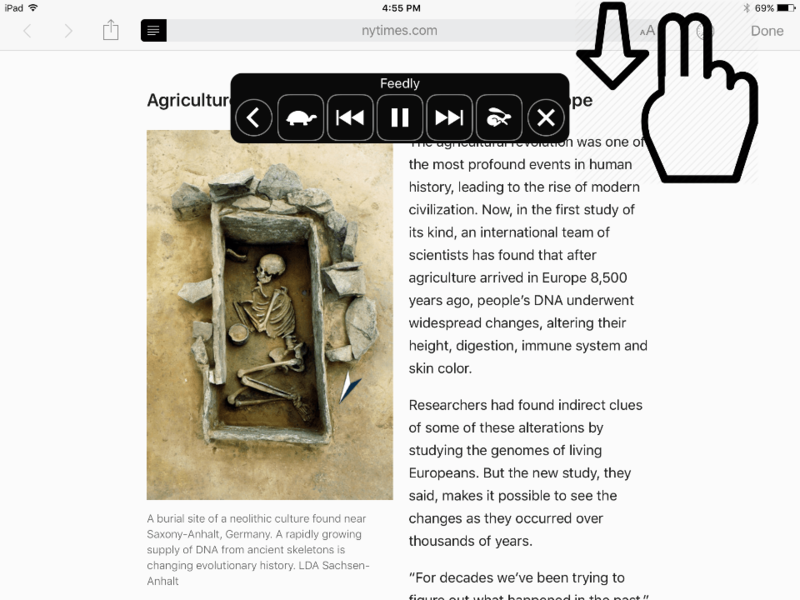 Now, when you swipe down from the top of the screen with two fingers, you will get a speech toolbar that will allow you to have the screen spoken to you. You can speed up or slow down the rate at which it reads by selecting the turtle and the hare. Happy listening.